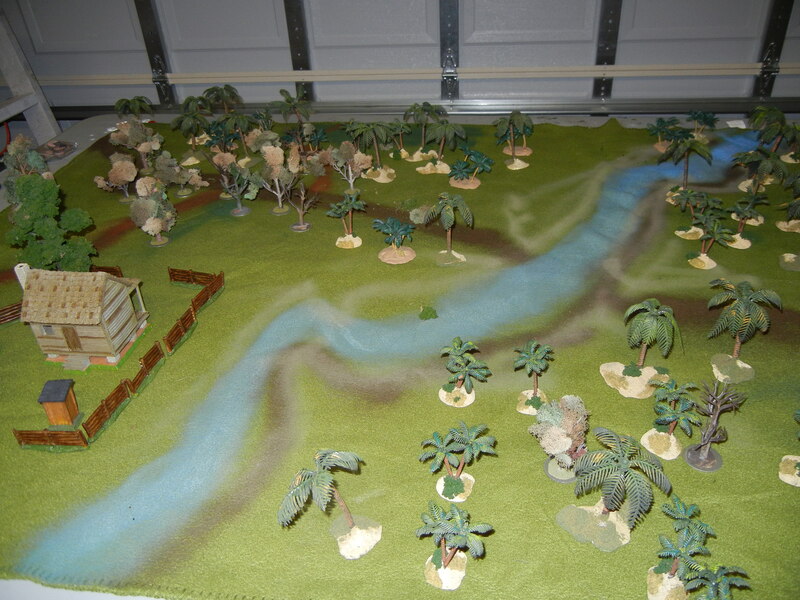 These are photos of the final battlefield and of the miniature soldiers which fought on it. 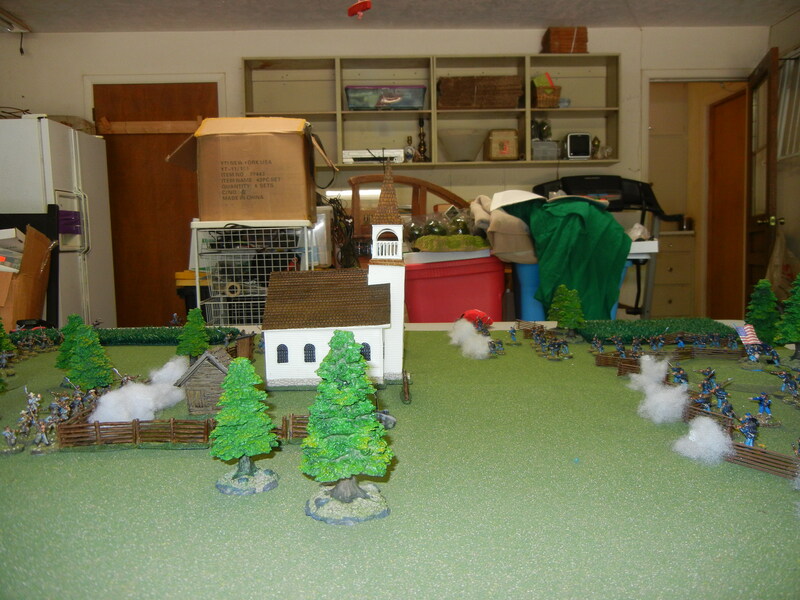 I love the spectacle of Miniature Wargaming. The visuals are what really makes it the whole experience so much fun. 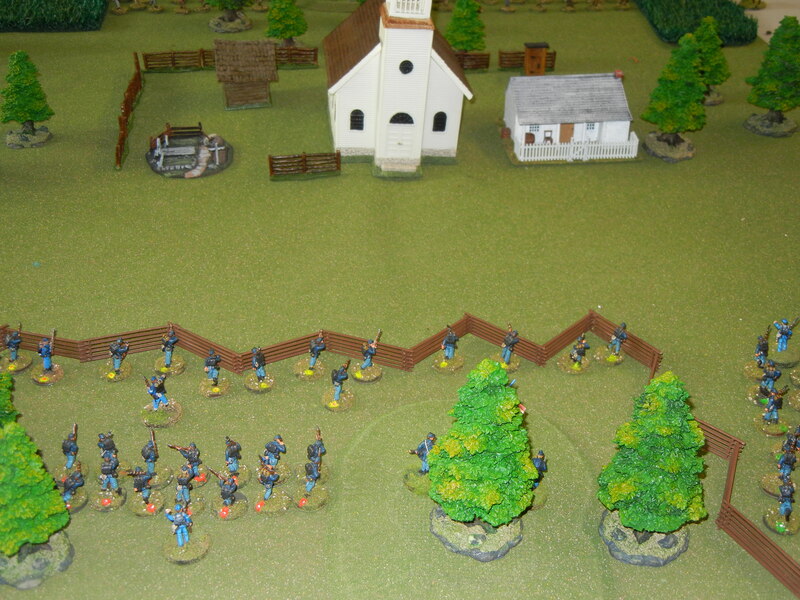 The Union advances towards the church. The Confederates do the same. 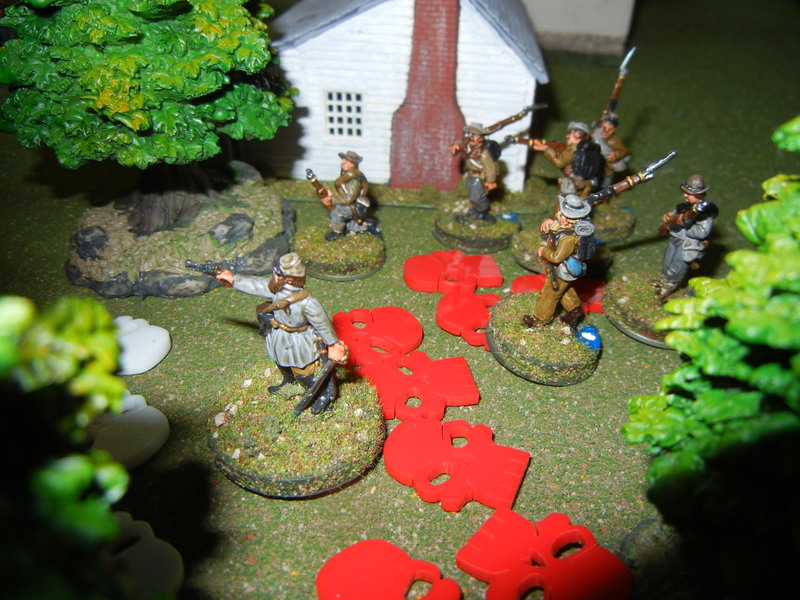 The Union captain establishes himself on a small rise. 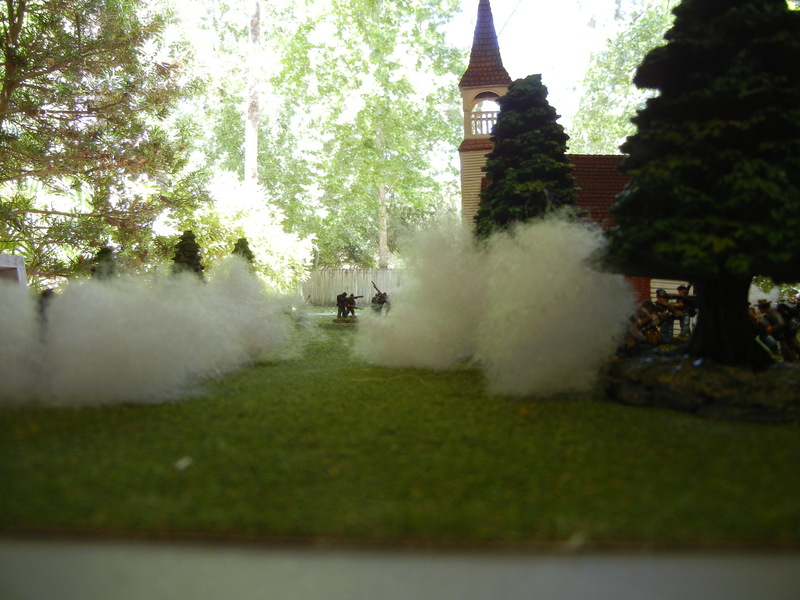 Now, the crackle of musketry is heard as thick smoke begins to roll across the land. 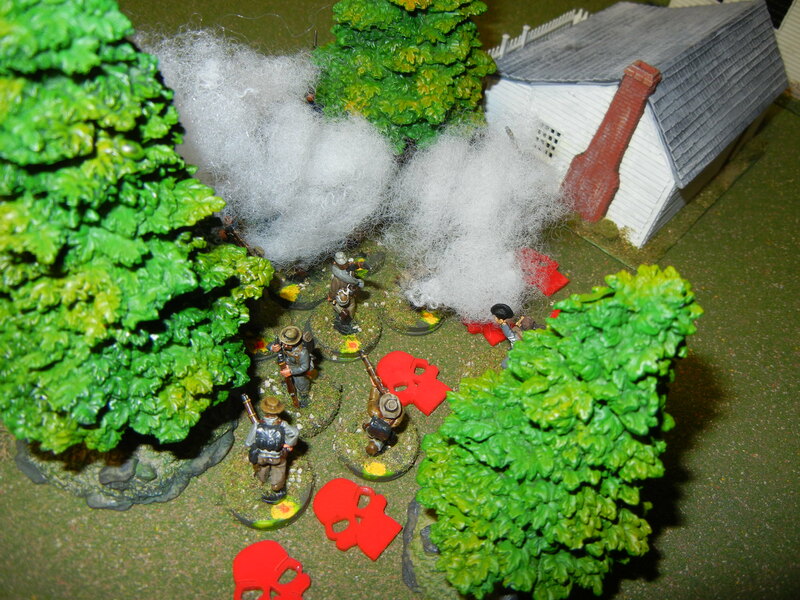 The firefight becomes more intense. 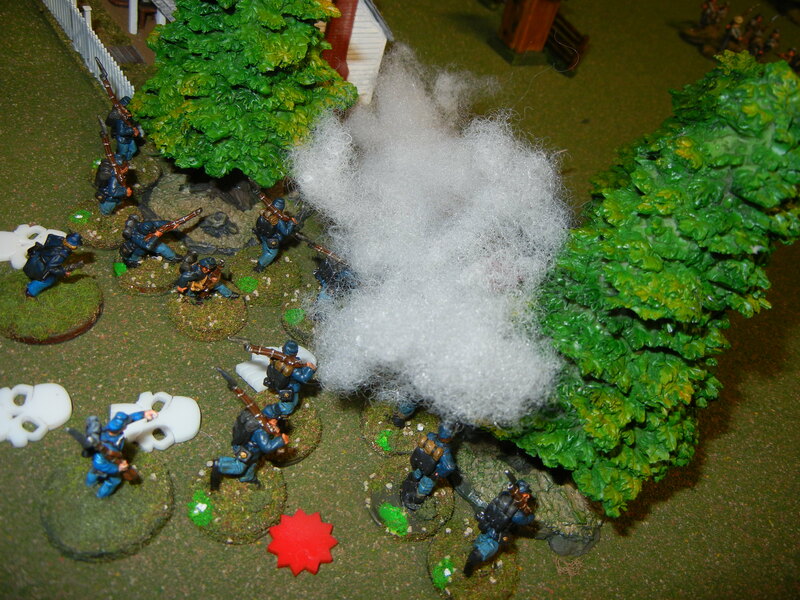 The battlefield is wreathed in smoke. 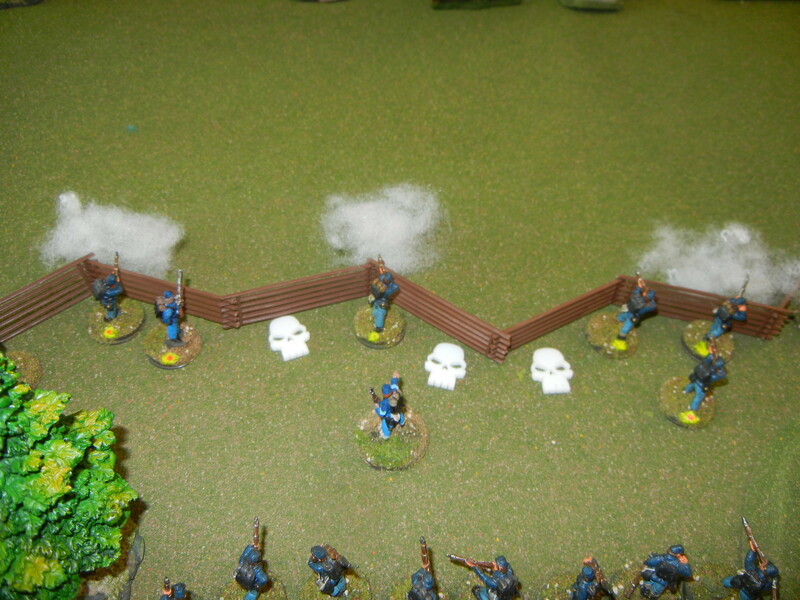 A desperate charge into the Confederate position! Which results in savage melee combat! 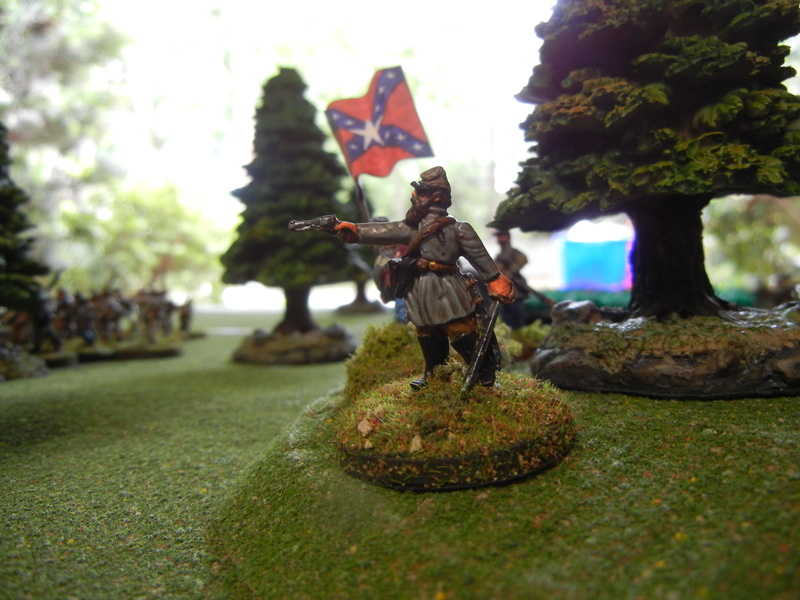 The Confederate captain leads the counterattack! 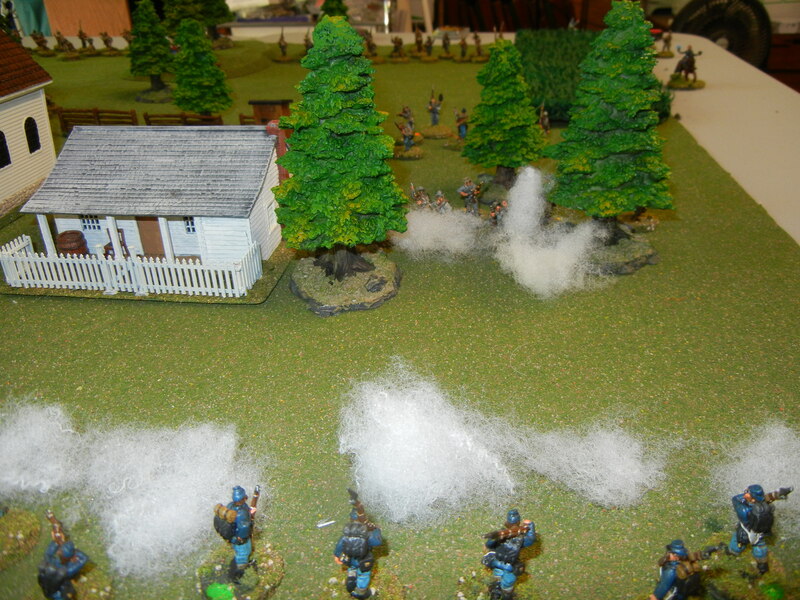 Another melee only this time it is the Union troops who are weakened and outnumbered. 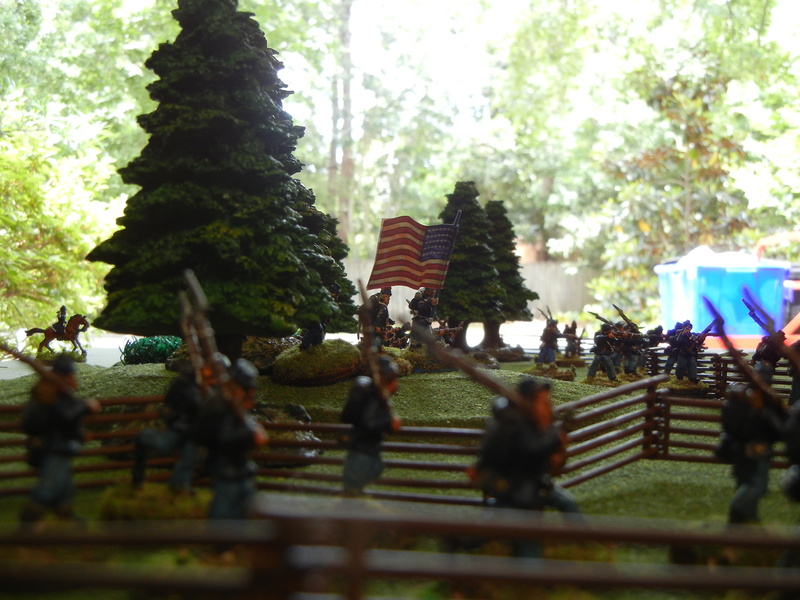 Now the Confederates are victorious! 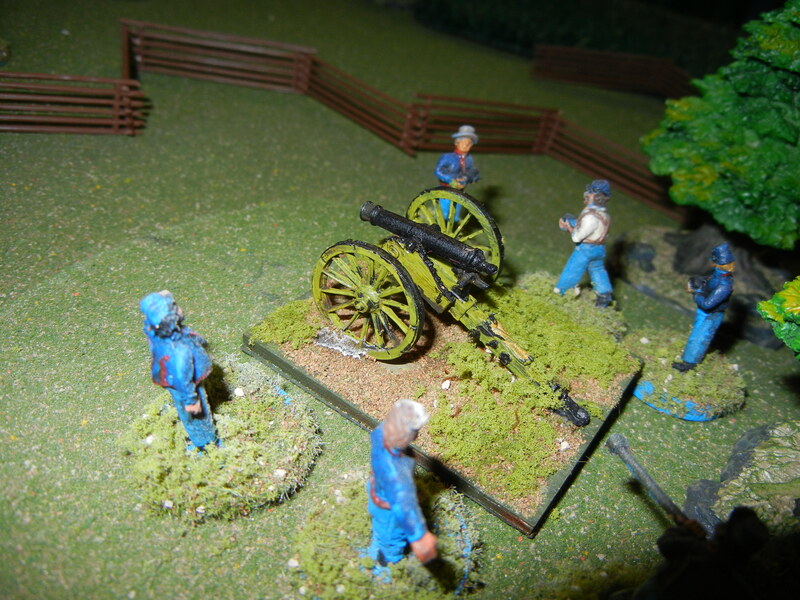 But the triumph is short lived…the Union has brought up a 12lb Howitzer and its crew. 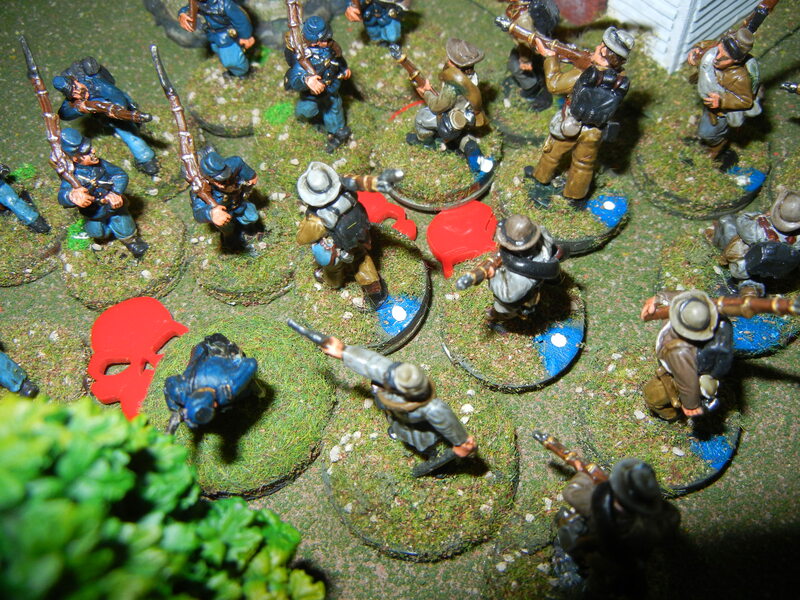 The gallant Confederate captain has no choice but to order his troops to withdraw. So ends the Battle of the White Church. 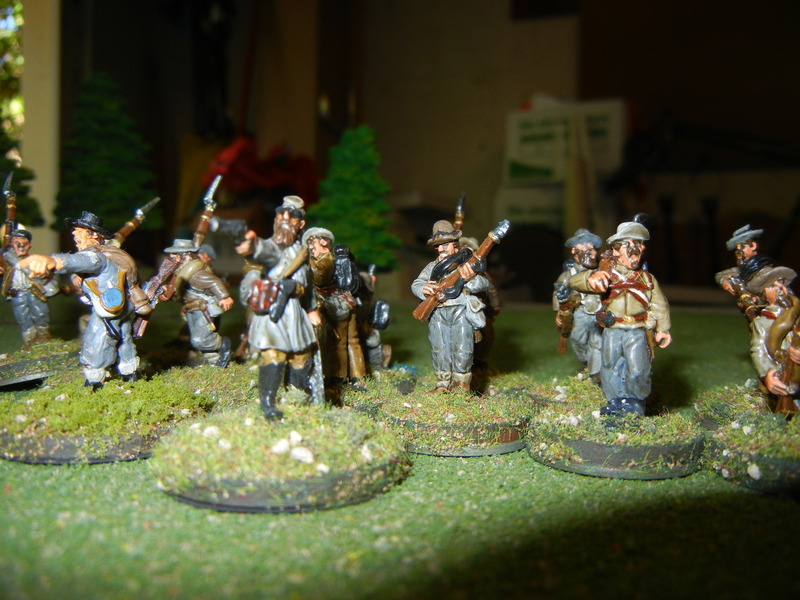 Most of the figures were painted by Reinforcements by Post Painting Service. 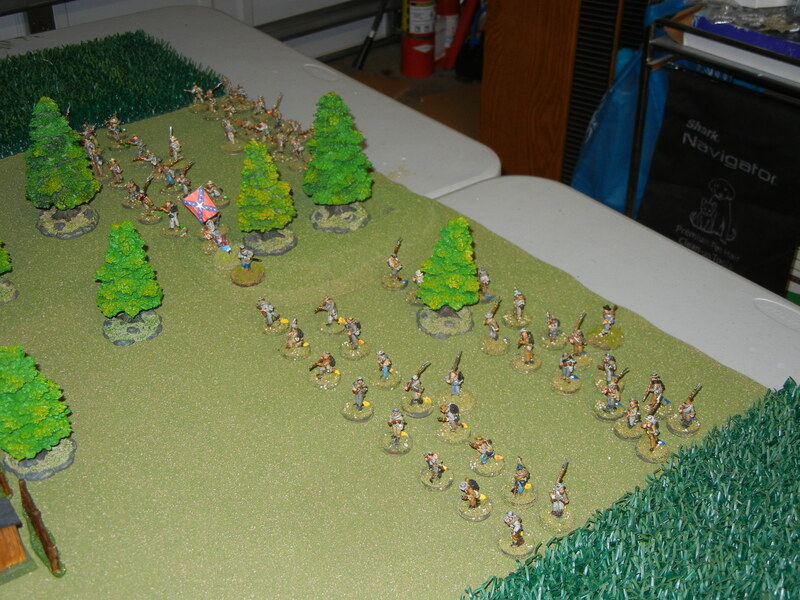 Coming next…the Skirmish at Cockroach Creek! 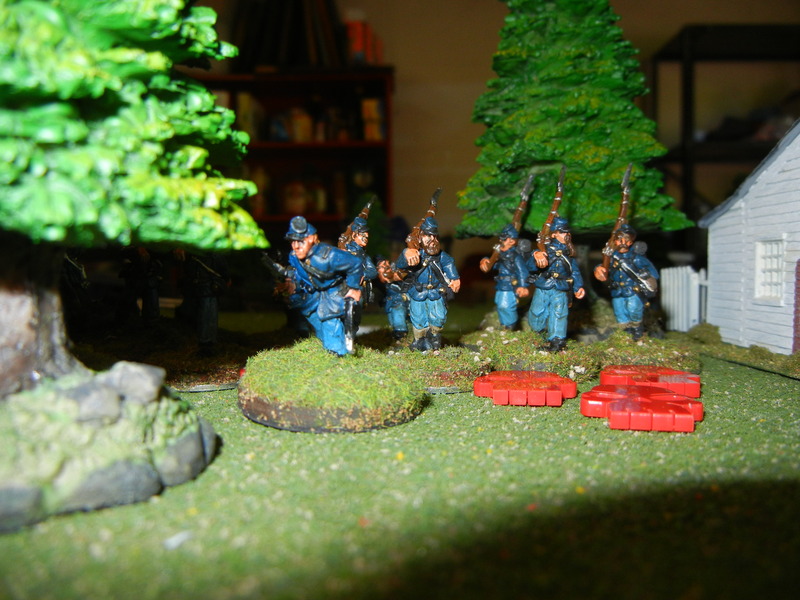 Can the Florida National Guard hold back the Kaisers marauding hordes!!! Until then…Have Fun! Play Games! I love the paint jobs.